European lawmakers voted on Thursday to restrict funding for member states who flout the rule of law. The financial sanction would be applied to states found to undermine the judiciary or who fail to address corruption problems. Countries including Hungary and Poland, which have both drawn the ire of Brussels over recent legislation on judicial independence or immigration, vehemently opposed the proposal. Hungary EU Minister criticised the motion as "another attempt to punish Central Europe" and said it will lead to "further conflicts in the EU." Watch: Euronews' Brussels correspondent Meabh McMahon breaks the story down in the video player above. Sweden's parliament reelected Social Democrats leader Stefan Lofven for a second term as Prime Minister on Friday, putting an end to four months of political deadlock. Lofven was ousted in late September when he lost a no-confidence vote after an inconclusive election — the country has had no government in place since then. Lofven struck a deal with several parties including the Liberals and the Greens in order to form a minority government, which he is scheduled to unveil on Monday. 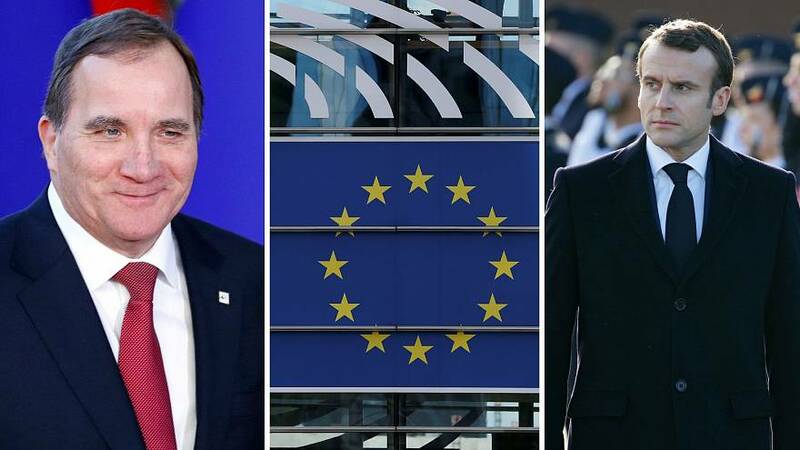 The deal was forged to prevent the anti-immigration, right-wing Sweden Democrats party, which came third with 17.6% of the vote in September, from having a say in policy. On Twitter, Lofven said the "new government is based on broad synergy." "We stand up for democracy and people's shared values," he added. Saturday will see gilets jaunes (yellow vests) protesters march across France for their "Act 10". One of the prominent figures from the movement, Eric Drouet, has called for protesters to come out in droves to mark the tenth day of national action. He's hoping comments made this week by French President Emmanuel Macron will help galvanise support for the movement. "For Emmanuel Macron, 'far too many' French people have forgotten 'what effort is.' Let's take him at his word. "It's up to us to make the effort to be one million in Paris," protester Yann Laurans, wrote on Facebook. Last week, 84,000 marched across the country, according to the Interior Ministry. Meanwhile, Macron is continuing his PR blitz for his Great National Debate, hoping to steer the conversation away from the protest. French mayors are due to a receive a letter in the coming days outlining how best they can organise debates within their town halls. Some 200 meetings were set to be held across France from January until March.